Even if it’s just the sleeping of the sun you’re celebrating or just the “PGP”. 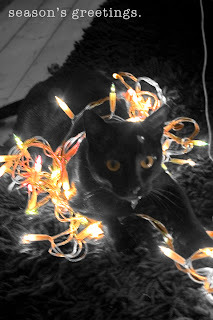 From my family, including that cute lil’ bugger ^ , my kitty, Chase, to you and yours. Will start writing proper pish again soon ;oD hopefully! « It's My Birthday	» Apple Stop Motion Mac v PC & Santa!